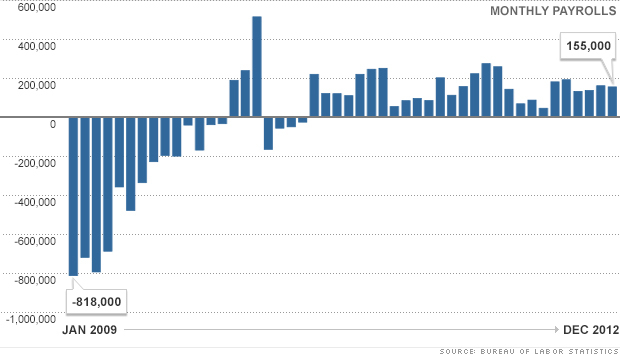 When the president entered office on Jan. 20, 2009, the economy was issue No. 1. It still is today. Here's a look at where the economy stood then and what's changed since. Job losses peaked in early 2009, and steadily declined throughout the year. The economy finally started creating jobs in the beginning of 2010, but then employers pulled back in the summer. A similar trend occurred in 2011, and then again in 2012, when strong momentum early in the year stumbled in the spring.